How Is Good Morning Snore Solution Different? Does Good Morning Snore Solution Stop Snoring? Does Good Morning Snore Solution Have Any Side Effects? Who Should Buy Good Morning Snore Solution? 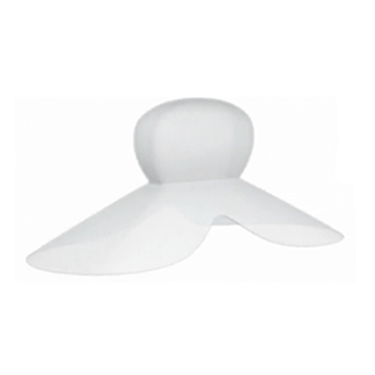 Tongue retaining devices are specialized snoring aids that exclusively alleviate snoring problems stemming from oral airflow obstructions. They are not suitable for nasal snorers, people with sensitive mouths, and individuals who cannot breathe through their nose. 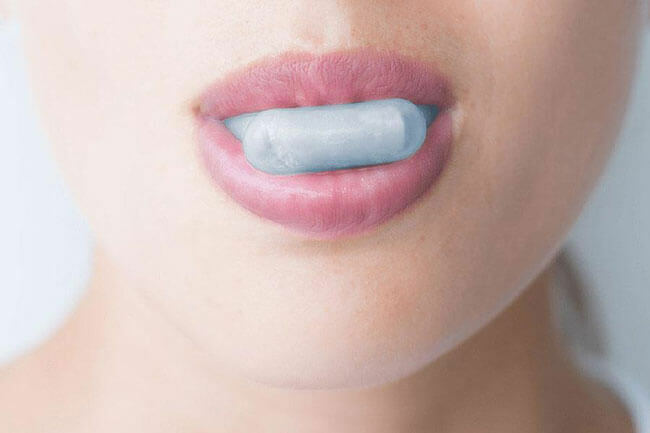 Tongue retaining devices can cause unpleasant although minor side effects, including excess salivation, difficulty swallowing saliva, sore tongue, and changed tongue color. If you notice any persistent side effects, discontinue use and consult with a medical professional. Is there anything more frustrating than being exhausted and knowing that you won’t be able to rest? This is what people who struggle with snoring end up going through on a night-to-night basis. Snoring is one of the most problematic sleeping disorders there is, despite the fact that most people simply consider it a joke. When people look to address their snoring problems, they typically end up looking at pillows, chinstraps, and mouthpieces. Good Morning Snore Solution is a specialized form of an anti-snoring mouthpiece that seeks to fix your snoring forever. Is it effective? Let’s find out! 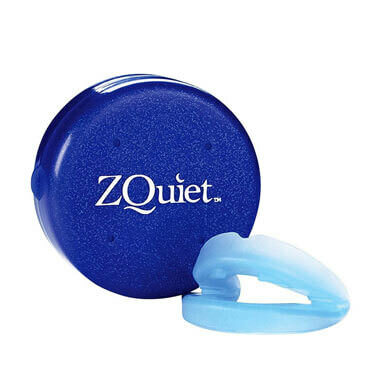 This product is ranked #2 on our Top 10 Snoring Aids list. Good Morning Snore Solution is a type of anti-snoring mouthpiece known as a TSD or tongue stabilizing device due to the fact that it specifically targets your tongue. Anti-snoring devices come in a variety of different types, as we highlighted in the introductory paragraph of our Good Morning Snore Solution review, but TSDs stand above the rest because they target where snoring actually originates: your tongue. Good Morning Snore Solution was developed by a team of professionals, but the project was spearheaded by the team at MPowrx, which opened up its doors in 2005. At MPowrx, they focus on creating wellness solutions for people that are based completely on science. Dr. Nancy Markley is the lead researcher in the business and she teamed up with a sleep scientist and dentist, Dr. Leslie Dort, in order to create the original Good Morning Snore Solution mouthpiece. Over the past 15 years, the team has worked to perfect their TSD device in order to address snoring for countless people all around the world. We told you a little bit about the company behind Good Morning Snore Solution because we feel that it is important for you to be able to trust its developers. One of the most impressive aspects of Good Morning Snore Solution is that it was developed by a team of highly trained professionals who have spent their entire careers working to craft the ultimate anti-snoring technology. Now that we have a more rounded understanding of where Good Morning Snore Solution comes from, we can spend a little bit of time learning how the product actually works. Snoring is a common problem that is actually fairly multifaceted in how it manifests itself among people. If you were to look at a pool of people who struggled with snoring, you likely wouldn’t be able to find much common ground between them, outside of their actual condition. 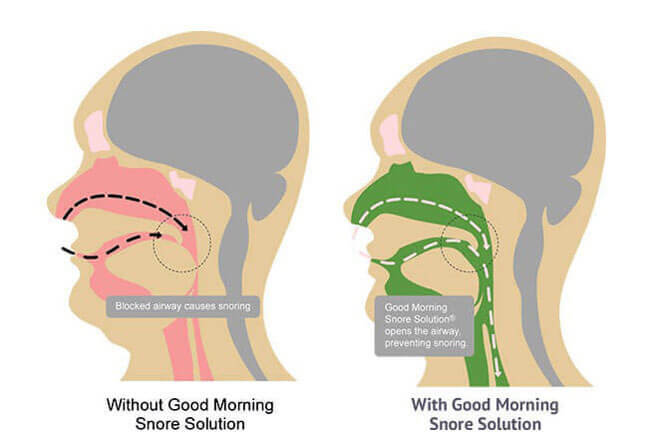 Good Morning Snore Solution seeks to address snoring at its root cause, much like all other tongue stabilizing devices. Snoring is a simple problem and the solution, at face value, is fairly simple as well – stabilize the tongue in order to eradicate the snoring. Let’s describe the process of snoring a little more clearly so that you can understand why Good Morning Snore Solution works the way that it does. When you go to sleep at night, your entire body goes into relaxation mode. This relaxation extends to your muscles and, of course, your tongue is included. When your tongue relaxes, it will fall back toward your throat. When your tongue begins to partially block your throat, you will find that your airway has been fundamentally obstructed. Now, in most people with generalized snoring, this obstruction is only bad enough to cause the thrumming vibration that we recognize as snoring. When that obstruction is much more severe, the condition warps into a new term: sleep apnea. We will get into a discussion on sleep apnea at a later point in our Good Morning Snore Solution review, but for now, let’s focus on addressing snoring itself and how Good Morning Snore Solution works to stop it. Good Morning Snore Solution works as a tongue stabilizer. Tongue stabilization is the key to eradicating snoring in the vast majority of people. Unfortunately, most tongue stabilizing devices struggle to be both comfortable and effective. The problem is simple: most people are generally uncomfortable when something touches their tongue. In fact, this discomfort extends to many other areas of the oral anti-snoring world. Good Morning Snore Solution is more effective than other TSDs because it works better – and that really is all that there is to it. Good Morning Snore Solution works by allowing you to set your tongue within a small bubble or pouch. With your tongue in this bubble, you will find that your tongue is pulled slightly forward. With your tongue extended, you’ll find immediately that it is incapable of falling back into your throat and causing the snoring problem that you’ve likely been dealing with for the majority of your life. Yes, stopping snoring is really that simple, especially with a mouthpiece such as Good Morning Snore Solution. So far in our Good Morning Snore Solution review, we have shown you how Good Morning Snore Solution works, why TSD products are effective, and what you need to do in order to use one. Now, let’s go ahead and talk about how Good Morning Snore Solution is more effective than competing tongue stabilizing devices. When you search for anti-snoring products, you are going to be focused on finding something that fits into a specific set of criteria. Typically, you want a product that is comfortable, easy to use, and affordable. It can be pretty difficult to find the perfect purchase that checks all three boxes. While there are reasons to dislike Good Morning Snore Solution, this product pretty effectively checks all of those boxes with ease. Continuing, Good Morning Snore Solution also does its job in a different way than most other anti-snoring products that you will see on the Internet. Let’s talk about how Good Morning Snore Solution is more effective than some of the competition due to its key feature differences. Easy Breathing Technology – The most common concern with anti-snoring oral devices is that they will directly inhibit your ability to breath. With Good Morning Snore Solution, you’ll find that your breathing is never altered. The TSD method gently extends your tongue in order to open your airway with little fanfare. No Painful Side Effects – Additionally, most oral anti-snoring products are going to be packaged with a host of different painful side effects. While most side effects will eventually dissipate, the fact that chinstraps and MADs (mandibular advancement devices) are painful to use is something to be aware of. Good Morning Snore Solution does not cause any jaw pain and it certainly does not contribute to any warping of your bite alignment. Sleep How You Want – Anti-snoring mouthpieces can be problematic for stomach sleepers because they tend to be uncomfortable to wear. Good Morning Snore Solution is wearable in pretty much any sleeping position. There is something to be said for absolute comfort while you sleep. After all, your goal is to improve the quality of your rest – not hurt it. Backed By Scientists – The final major difference between Good Morning Snore Solution and the other competing products on the Internet is simple: Good Morning Snore Solution was built by specialists who have spent their entire careers in order to bring about solutions to the anti-snoring world. This product is crafted with science in mind and no trickery. 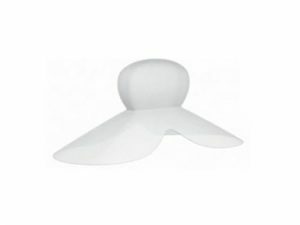 With tongue displacement technology, you are going to be treated with the most convenient anti-snoring methods that are available on the market. While there are going to be some people who find TSD-styled products uncomfortable, we find that the majority of folks are going to enjoy how effective and quick they are to address your problems. For people that are seriously struggling with snoring, there is certainly a lot at stake. Snoring is no joke and the long-term effects of the issue can cause degradation to your health, your relationships, and your self-esteem. Start by washing your Good Morning Snore Solution with warm water before the first time that you wear it. Now, put the product into your mouth with the bulb facing outward. You should feel the entrance of the bulb resting just inside of your teeth. Now take the bulb between two fingers and squeeze it in order to force any potential air out of the product. Once Good Morning Snore Solution’s bulb has been emptied of air, you can gently slide the tip of your tongue into the device. Now, you’ll feel the slight pull of suction as your tongue rests within the bulb of the mouthpiece. Rest your tongue and allow the sensation to normalize. You might feel resistant to it at first. With tongue stabilizing devices, the problem isn’t physical so much as it is mental for first-time wearers. We instinctively dislike having something ‘trap’ our tongue. For this reason, the developers behind Good Morning Snore Solution advise that you don’t wear the product on the first night that you get it in the mail. Instead, take time throughout the day in order to wear it for a little bit of time. You want your body to acclimate to what Good Morning Snore Solution feels like so that when you go to sleep with it installed, you don’t resist it. Before we move on, we want to double-down on stressing the fact that Good Morning Snore Solution is a one-size-fits-all product. Do not worry about sizing issues when you order the product. So long as you carefully follow the instructions we outlined earlier in our Good Morning Snore Solution review, you should be more than fine – you should be ready to sleep comfortably. What interests any person struggling with snoring is: does Good Morning Snore Solution actually work to stop snoring? While there are countless products available on the Internet, people are still shopping for the perfect solution to their snoring problems. With Good Morning Snore Solution, the hope is that the scientifically backed project works to perfection by eliminating snoring immediately. Is this the case? Sleep Apnea – This is a problematic sleeping disorder that can cause snoring, chronic fatigue, and even serious injury. Poor Diet – Our body is a pure reflection of our diet, so when we fill our body with bad food, we end up paying for it in the process. Consider sugary foods, caffeine, and alcohol as primary instigators of snoring. Knowing that there are underlying conditions that could lead to snoring, can we safely say that Good Morning Snore Solution solves snoring as an issue for all users? No, we can’t exactly say that. What we can say, however, is that Good Morning Snore Solution appropriately addresses the mechanics of snoring by targeting your tongue and working to effectively pull it out of the problematic position that causes the snoring we know and loathe. Good Morning Snore Solution works by allowing you to insert your tongue into a comfortable device. With your tongue resting inside of Good Morning Snore Solution, the muscle is pulled forward and away from your throat. With your tongue pulled away from your throat, the issue of snoring is almost completely remedied. You’ll find that your airway can no longer be obstructed and this immediately results in easier breathing, comfortable rest, and diminished snoring. Still, no product is perfect and some people are going to have problems making Good Morning Snore Solution work for them. With Good Morning Snore Solution, when the product comes up short, we find that the issue is likely due to user error. Some people cannot abide using tongue stabilizing devices while others simply do not wear the product correctly. However, the overwhelming majority of people have concluded that Good Morning Snore Solution works to control their snoring, making their life more bearable. Several times throughout our Good Morning Snore Solution review, we have highlighted sleep apnea as a potentially serious sleep disorder. Sleep apnea is a problem that is actually relatively common among people who have trouble sleeping. Sleep apnea manifests itself in a number of different ways but is most serious when you are, of course, sleeping. Sleep apnea, or obstructive sleep apnea, revolves around the partial or complete obstruction of your airways. When your airways are partially obstructed, you snore. When your airways become completely obstructed, as can sometimes happen with sleep apnea, you end up actually stopping your breathing. When your breathing stops, you run the risk of experiencing serious injury and, potentially, death. Due to how serious sleep apnea can be, we traditionally advise that users seek consultation from a trained healthcare professional. If you find that your sleep apnea only exists in its mildest form, then you will find Good Morning Snore Solution to be an amenable solution to your problem. If your sleep apnea is advanced or considered severe, then you should probably forego Good Morning Snore Solution in order to use something more appropriate, like a CPAP machine. The root cause of sleep apnea mirrors generalized snoring. For those looking to get a cheap and convenient fix in order to fight back against their sleep apnea, Good Morning Snore Solution can be the right product for you. Good Morning Snore Solution works by holding your tongue in place, as already highlighted in our Good Morning Snore Solution review, and that effectively targets the obstruction that makes sleep apnea so dangerous. We find that Good Morning Snore Solution should be usable for people with sleep apnea, but we’d feel more confident advising users to use Good Morning Snore Solution if they spoke with their medical professional first. One of the best things about Good Morning Snore Solution is the fact that it is a product bereft of most side effects. Unlike mandibular advancement devices, tongue stabilizing devices don’t have nearly the same risks involved in their nightly usage. With that being said, Good Morning Snore Solution still has a few minor side effects that we should probably discuss with you in order to clear the air and keep you completely informed. The first side effect that we want to highlight is excess salivation. When you wear Good Morning Snore Solution overnight, you do run the risk of seeing an uptick in potential drooling. This side effect is most common during the earlier use of the product. As your body adapts, you begin to instinctively operate the device more effectively while you sleep. Additionally, some users report that they experience minor tongue soreness after extended use of the device. Tongue soreness is actually the most common side effect found with tongue stabilizing devices, despite still being relatively rare. If you suffer from either of these side effects when using Good Morning Snore Solution, make sure you keep track of time. If these side effects persist for more than a week, consider contacting the manufacturers of Good Morning Snore Solution for a refund or consultation. We’d be remiss if we didn’t take a moment to talk about who Good Morning Snore Solution is an ideal product for. Fortunately, with Good Morning Snore Solution, there aren’t very many people that wouldn’t benefit from this tongue stabilizing device. Essentially, if you suffer from any form of chronic snoring, then you’ll benefit from having Good Morning Snore Solution on your nightstand and in your mouth when you go to bed. If you struggle with mild sleep apnea, Good Morning Snore Solution can be a workable solution in order to help you regain some of your lost rest and peace. With that being said, there is still a small demographic of people who should not rely on Good Morning Snore Solution to treat their snoring problems. Primarily, if you are what is considered a mouthbreather, then Good Morning Snore Solution is probably not ideal for you. With Good Morning Snore Solution, most of your breathing is done through your nose as your mouth will be slightly obstructed by the product. If you struggle with nasal congestion, sinusitis or any kind of severe respiratory disorder, you should also consider trying a different product. Finally, if you have sensitive teeth and gums, you might find Good Morning Snore Solution to be slightly uncomfortable to wear. Now that we have a more rounded understanding of who Good Morning Snore Solution is good for and who should avoid the product, we can move on with our Good Morning Snore Solution review. Let’s see what other users thought about Good Morning Snore Solution as an anti-snoring device. When discussing any kind of anti-snoring device, we have to keep in mind the idea of painting a complete and fair picture of the product. Not everyone will have success with the product and those that complain aren’t necessarily in the wrong for doing so. Let’s highlight both the compliments and the complaints that have been attached to Good Morning Snore Solution. Compliments – Users have almost uniformly loved the idea of a simple, one-size-fits-all anti-snoring device. We saw many customers who were excited by how easy the product was to wear and how effective it was in immediately treating their snoring. Other users admired Good Morning Snore Solution for being designed by scientists and they praised the product for not having many side effects. Complaints – The common complaints surrounding Good Morning Snore Solution were pretty similar to other TSDs. 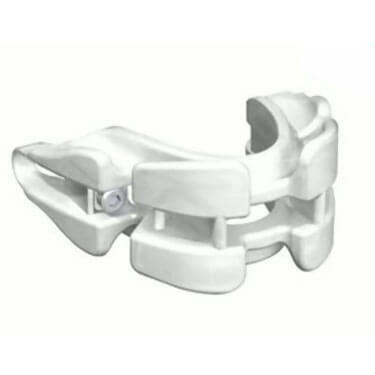 Some users could not get comfortable with the product due to the nature of how tongue stabilizers naturally work. Other users didn’t like when minor side effects manifested themselves – drooling or tongue soreness. Finally, there was a selection of customers who didn’t like that the product was not usable for people who breathed through their mouth. It’s not easy finding a perfect anti-snoring device – and it is even harder finding a product with uniformly glowing reviews. Fortunately, Good Morning Snore Solution showcased largely positive reviews with very few problematic comments. When you purchase an oral anti-snoring device, there is always potential that the company in charge will not be cooperative with returning the device. Many companies don’t accept refunds because it is not hygienic and they are not willing to take a loss on the product. That is not the case with Good Morning Snore Solution. Good Morning Snore Solution offers a complete 90-day money-back guarantee. If you are unhappy with your Good Morning Snore Solution, you can call up the manufacturers in order to get a full refund, excluding your shipping fees. All that you have to do is rifle off an email to the company with your experiences using the product and your purchase date. Good Morning Snore Solution is available in two convenient pricing options. Good Morning Snore Solution Bundle – $69.94 – Product comes with the Good Morning Snore Solution mouthpiece and a special carrying case. Good Morning Snore Solution Value Pack – $99.94 – This is probably the more popular of the two choices. You get two mouthpieces and two carrying cases at a dramatically reduced price. Also, keep in mind, both products come with a full warranty and refund option. If you are still unsure if Good Morning Snore Solution is right for you, check out the key advantages and flaws of this snoring aid. We very rarely glow about a product due to the fact that so many anti-snoring devices are simply flawed. However, Good Morning Snore Solution has to be one of the most effective anti-snoring products on the Internet. We liked the professional design and the scientifically backed technique. The generous refund policy makes paying the premium price a little bit easier. The long lifespan and effectiveness in treating snoring is just the icing on the cake for an already great product. We suggest Good Morning Snore Solution for anyone struggling with chronic snoring or mild sleep apnea. This is a prescription free product, so it should be available to pretty much anyone. Our ratings are the result of an objective and independent evaluation of Good Morning Snore Solution, generating the final rating that reflects the overall quality of the company. Ratings may change as the product introduces changes. Good Morning Snore Solution user rating based on 9 user reviews. I decided to buy this anti snoring aid because it looked different than others. Turns out it wasn’t that helpful at all and it kept falling out of my mouth. 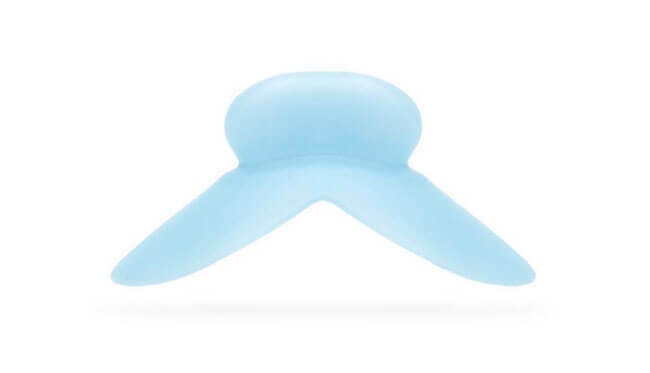 I was attracted to this snoring solution because it promised that there’s no jaw pain, which was a deal breaker with other snoring aids. However, I feel strangely indisposed with this contraption in my mouth and still haven’t got used to it. My snoring is quieter, but it’s not completely gone, like the ads promised. It looks and feels super strange but it works like a charm. It feels strange to have my tongue constantly trapped, but this device has helped me. I still snore (not as extremely as before) but I sleep a bit better now. There’s no pain with this anti snoring device, but there’s not much gain either. I bought it to please my wife, but it didn’t do us a lot of good. We found 3 verified Good Morning Snore Solution discounts for April, 2019. In order to be sure that Good Morning Snore Solution truly is the best solution for your snoring troubles, you need to know what makes it superior or inferior to its alternatives. Discover how Good Morning Snore Solution compares to other popular snoring aids of its kind with our detailed feature and price comparisons and easily determine whether you are making the right choice.